Debbie Harford Shared Halloween treat bag for my grandson. No pattern. Gorgeous Floral Block For Blankets To Treasure Forever And Ever! The colors choice and the pattern for this Feather and Fan wavy striped baby blanket in pastel colors are absolutely stunning! 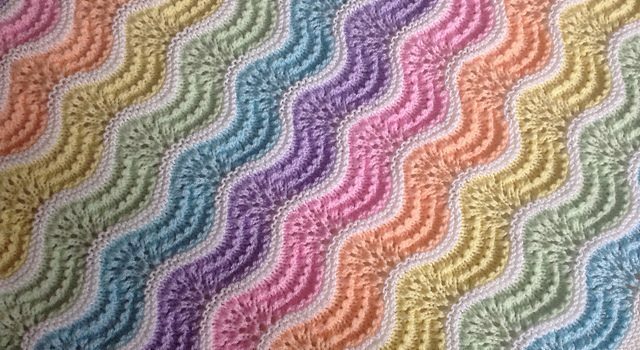 Pastel Rainbow Baby Blanket by Stitchylinda Designs is the amazing proof that a clever use of color and a little tweaking gives a traditional design a completely fresh, new effect and look. This easy fun pattern comes instructions perfectly able to enable users to make their own customized baby blanket. The example cot blanket I made used just under 300g of double knitting yarn and is approx 60cm x 90cm. Thanks to Stitchylinda Designs for the article inspiration and featured image. Would make a pretty uniform top, don’t cha think?!?! Beautiful, where could I get the pattern? Oh, how I wish this was crocheted. This is lovely! My mother had a circular feather and fan shawl for us when we were babies. She kept it and let us play with it with our dolls. This is such a pretty update of a traditional pattern. Sorry, my comment previous should not have a link in it. I did not put it there and don’t know how to remove it. Can you please take it out? Gorgeous is almost too small of a word! I looked it up. 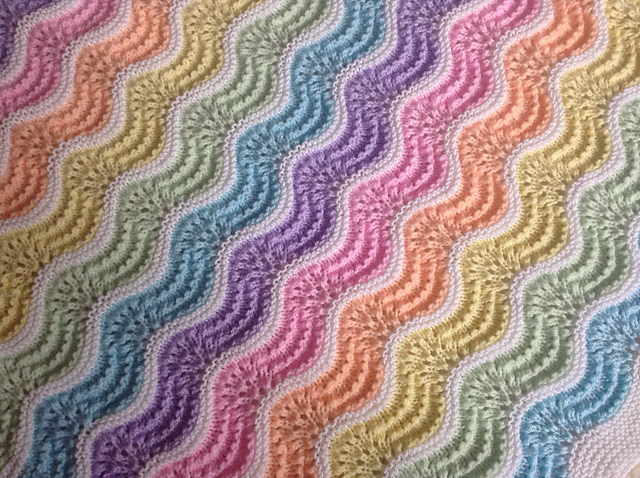 It’s a free pattern on Ravelry… When I magnified the picture… it looks like a gentle ripple pattern. You can do it! I know you will can nake this perfectly,,,like all your others. Look at how pretty this wave is. Dis ‘n breipatroon nig…. gaan eeue vat!